If you’ve done any research into SEO for your business, you probably have read a fair amount about backlinks. Backlinks are links that point to your website from other webpages out there on the web and they have long been one of the primary factors that drives how Google ranks websites and pages in their search results pages. The issue is that there is a lot of misinformation out there about link building. There is definitively a right way and a wrong way to build links. Link building the right way to will slowly but surely improve your rankings for relevant keywords. The wrong way could leave your website penalized, waiting to come out of the penalty for months before you see any positive movement. But to dive into how to build links, we first have to define what link building is. Link building is the process of acquiring links to your website from other websites on the web. A link is a way for users to go from one web page to another on the internet. If you found this page, you likely did so through a link on Google, our own website, or on social media. There are many techniques for building links out there. Sometimes, SEOs will send outreach emails to businesses, pitching them guest posts. Or to place a link to their helpful resource in a related post. Backlinks are important because Google and other search engines use them to define the popularity and usefulness of your website. The more outside websites that are linking back to your website, the more helpful it must be. Additionally, Google ranks the “authority” of the websites that link back to you, with websites that have higher authority counting for more than smaller websites. For instance, a link from the New York Times would be worth more than a link from Joe’s Plumbing Service. The New York Times is a national brand that conveys a certain level of trust. To receive a link from them is as good as a reference from an industry insider in the eyes of Google. Let’s dive deeper into what makes a link a good one. As a website accumulates links from around the web, their own authority increases. Then, they are able to pass that authority on to other websites by linking to them. A high authority website carries more weight than a low authority website and has a more pronounced effect on how your website will rank. Domain Rating. A metric designed by AHrefs (a backlink tracking tool) that aims to provide a simple 0-100 number that describes the overall authority that a website has. This is not an official Google metric but does provide an excellent tool for better understanding the quality of the links that are pointing to your website. NoFollow vs DoFollow. Some links have a “NoFollow” tag attached to them. These are links that the website does not want to count as a “vote” of confidence in Google’s algorithm. Lots of user-generated content is published with “NoFollow” tags attached — such as blog comments, social media posts, and paid ads. Google also states that any paid link should be tagged “NoFollow” as well. DoFollow links pass on their full weight to the site they are linking to. Link placement. Link placement matters too. Although Google does not release their full algorithm (because people would use that information to game the search results) it is known that a text link from within content may pass more authority than a link in the sidebar or footer. An in-content link is more likely to be editorial, actually clicked on, and surrounded by relevant text that shows Google that it is relevant. Anchor text. Search engines use anchor text as a ranking factor. If you are linking to a page that features weightlifting supplies with the term “weightlifting products,” the website has a better chance of ranking for the term “weightlifting products.” Of course, it will take more than one link to rank for such a highly sought after keyword, but we are just trying to show how important anchor text is. Link relevancy. How relevant is the link? Google attempts to determine how relevant the link by analyzing a number of factors surrounding it including anchor text, other outbound links on the page, and other content and keywords included on the page. These are just some of the factors that are used to determine how much value an individual link has. Collecting many high-value links will put you in a position to rank highly for targeted keywords. Knowing how to research your competitors and where they are securing their links from can help you to find relevant publishers to approach for guest posts, link swaps, and other tactics that help you to build links. 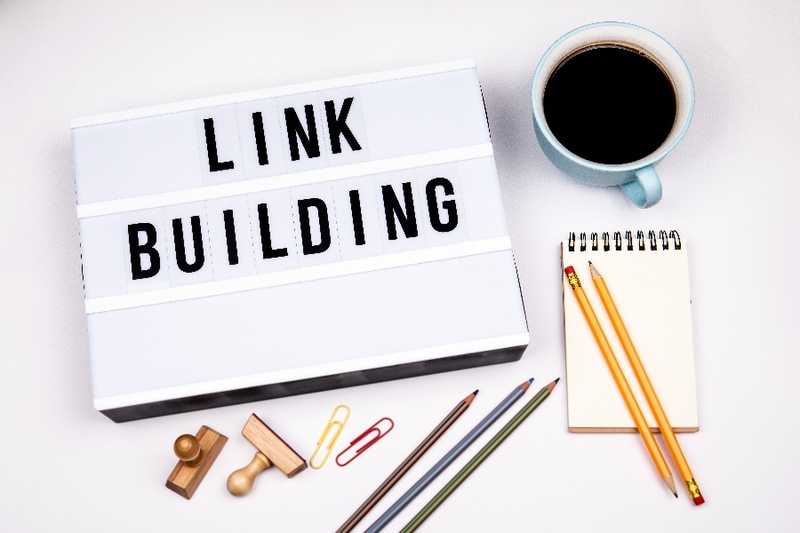 Analyzing backlink profiles can help you to gain insight into link building strategies that are working and find links that you can replicate. To score links on another website, you’ll have to reach out to them. Yes, you can build links organically, but without actively reaching out to publishers you’ll have a hard time getting much of anything done. Make a list of publishers that you would like to receive links from in your industry, and start reaching out to them. If you find a natural place for a link to your website (such as say, on a resource page) you can ask that they include you there. Additionally, you can pitch a guest post or ghostwritten article for them to publish that links back to your website as well. Link building becomes so much easier when you have something that is truly worth linking to. Maybe a tool that people find helpful. It could be a huge longform blog post that is undeniably useful to a specific audience. Either way, make sure that you are actively promoting materials that people want to say “yes” to linking to, rather than trying to link to low-quality content. Here at RiseFuel, we offer SEO and inbound marketing services to our clients and link building plays a key role in every new engagement that we take on. If you want to do well in Google, there is simply no way around it. I work closely with my clients to create lists of industry publications that would be an ideal fit for link building and help them to reach out and secure publication placements for guest posts, interviews, and other highly valuable link building opportunities.